Racing machines are very aerodynamic. You know what else is very aerodynamic? Airplanes. 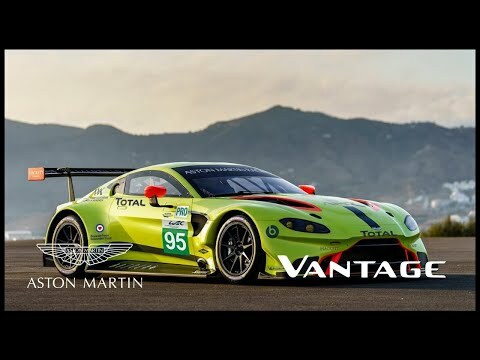 With the unveiling of the Aston Martin Vantage GTE, the British luxury performance car maker has released a video about the new race car. The nine minute video follows the development of the Vantage GTE from the early design phase all the way to finished product. RICKY TAYLOR: First of all, this was a dream season with Wayne Taylor Racing, but to get the call and the offer to come drive for Acura Team Penske this year is something I think there’s not a bad time to take the call. But in the position that the WeatherTech Championship is in, it’s continuing to grow. The level is getting higher and higher every year. To join a team like Acura Team Penske is an opportunity of a lifetime for me. Really looking forward to it. Can’t wait to get started. JEREMY TROIANO: Graham, while you’ll continue to compete against Team Penske in IndyCar weekends, you’ll transition to becoming part of the team during the endurance sports car weekends. Tell us how this opportunity came about to race with Team Penske. GRAHAM RAHAL: First of all, it’s a great opportunity for me. Thank you to Tim, to Roger (Penske), everybody at Team Penske, as well as Art, T.E. McHale and the group at Acura. It’s an opportunity that I’ve certainly been working on for a long time. Tim can tell you I’ve been all over him for many years now. Same with my connection with Honda and Acura. Those guys have been great to me through my IndyCar career. They’ve been the only supplier that I’ve ever driven for on that side of things. As it kind of runs in the blood, it was a perfect opportunity to come over here. Sports car racing is something that’s important to myself, to my family, and clearly is a huge part of the history of Team Penske. So combined with Acura Team Penske, I think it will be a great season for all the full‑time guys. It’s a dream opportunity for me to jump in and be a part of the endurance races. JEREMY TROIANO: And Simon, last weekend you returned to sports car racing and competed at the Petit Le Mans with Juan and Helio as Team Penske made its first sports car start since 2009. What did you take away from that experience and how beneficial was it for the program heading into next year? SIMON PAGENAUD: Well, first of all, it was an honor to be part of the star lineup with Helio and Juan Pablo. But also the return of Team Penske to sports car racing, I think it really was an interesting start of a new era for the team. Being part of it was very special. My background is all about sports cars. Having the opportunity to drive again in that field was a lot of fun. Great racing. Fantastic level of competition, as well, whether it’s GTD or Prototypes. We all had a blast. The team did a fantastic job bringing the podium back home on the first race. It was a great time. Q. Ricky, I was wondering if you could talk about for you to take this job, I understand the one side of it is the opportunity of a lifetime to drive for Team Penske, but there are people who say you’re coming out of this dream season, how can you leave your brother, your father. Can you sort of explain your reasoning. I understand your family probably wanted you to take this opportunity. RICKY TAYLOR: I can’t lie. Nobody could have taken me away from driving with my brother and everything that my dad had built there besides an opportunity like this with Team Penske coming back to sports car racing, and Acura after their great season in GT this year with the NSX. There’s so many big factors that it doesn’t look like it’s just a flash in the pan sort of deal. It seems like it’s something that is really exciting. The series is growing. It was a hard decision after such a good year and so much momentum was built over there. But I think this is a new challenge and an amazing opportunity. I’m excited to take it. Although I think Jordan and my dad would have said I was stupid not to. I think coming over here was a decision I’m really excited about. Q. Ricky, can you expound on what you were talking about a minute ago. A hard decision, and I imagine the emotions next year the first time you get in the car for Penske, get out on the track, the first time you cross paths with the 10 car on track, what do you think the emotion is going to be like racing against your brother, not the first time you’ve done that? RICKY TAYLOR: I think obviously we’ve gotten to know each other really well. We’re best friends at home. The thought of leaving the team this year was a bit strange. I think when we do get back out on track, I’m going to make my best effort to treat him like any other driver. I got used to it in 2013. If it was the first time I was doing it, I don’t think I would know what to expect. There was a bit of a learning curve to it last time. But I think I’ve learned how to treat him on track as just another driver. I think once you’re racing, you’re doing the best you can, and you’re being selfish most of the time. So I think in the next year we’re going to go try to win races and try to win the championship. I wouldn’t blame him if he does anything to me, just as if it’s anybody else. I think either way, just trying to treat him like any other guy out there. Q. Graham, driving for your dad in IndyCar, what was the conversation like, if there was one, about taking the opportunity with Penske, who you are competitors with? GRAHAM RAHAL: Really, there wasn’t much of a conversation. In fact, I only told dad last night that this was taking place. Now, I will say that my dad has always been a huge supporter of mine. I think it was my dad’s dream to drive for Roger. He never had the opportunity to do so. I know for him there’s a lot of pride that’s associated with that. Of course, with my ties to Acura, it’s a great opportunity to continue that relationship that’s been so important to me both at the racetrack and on a personal level with our family, and obviously Roger being dealers of both Honda and Acura products. For me, it’s a dream opportunity to get to drive with Penske, and to once again support ‑‑ and I really have to thank them for their support — Acura as well. It wasn’t much of a conversation. I know dad’s probably equally as excited. I think he’s looking forward to getting down there. Frankly, we won’t compete against them as the category they’re in is different than the Prototypes. But I’m excited for this opportunity and what’s ahead of us. It’s a great team, great lineup of drivers. I know that the people at HPD and Acura will do a great job as we get closer to race time. Q. Tim, obviously a lot has come together with this in a relatively short amount of time. In Ricky’s case, he mentioned it was a tough decision for him. But for you guys, how big is this and how much went into actually making this happen knowing obviously he was coming off the championship with Taylor and Corvette this year? TIM CINDRIC: That’s a good question. There’s obviously a lot of dynamics that go into choosing a lineup where you’re really looking at six drivers across the board. I was reminded today I think we have 14 now total under the Team Penske umbrella if you include the ones over in Australia. Yeah, a lot going on. As we looked at it, there were so many talented guys out there, so many people that deserve an opportunity. The chore for Art and us was to really look at it across the different categories and try and decide how many different boxes they checked. There’s obviously the on‑track piece of it, which there’s so many that qualify on that front. But then you have to represent the brand, the Acura brand, the Penske brand. You also have to get all these guys to where they actually work together for a common goal. Dane and Simon have worked together in the past. Some of these guys know each other. Some of them just met. So it’s certainly a dynamic that we’re trying to put together the best collective effort. In Ricky’s case, I’ve known Wayne (Taylor) for quite a while. Obviously with our organization we actually teamed up with Wayne when we had Kurt Busch in the car with our group, and we finished third there at the Daytona 24 together running a sister car to Wayne’s when we went there and raced together. So we’ve had a working association. Ricky coming across, testing our IndyCar back in February, or whenever that was, really gave us a first‑hand understanding of Ricky’s approach. Simon was there at that test because it was his car. Our guys came back quite impressed with Ricky’s approach. The idea wasn’t go there and try to go as fast as you could in the car, but just go there and try to work through our agenda, which he did. That kind of was the spark for maybe he’s a guy we should consider. He goes out and wins the first five races or whatever it was, and wins the championship. We said to Wayne, Look, we wouldn’t do this behind your back, but I know how it is as a father, you want your kids to continue to grow. Is this an opportunity you think he would consider? Yeah, it was very difficult for Wayne, probably more than even Ricky, where he had to wear two hats, one as a businessman, one as a father, maybe even one as a car owner. The relationship that Wayne has had with General Motors, both Ricky and Jordan have had with Cadillac and GM and all that, we put our hat on and we race IndyCars, with General Motors, that type of thing and now we’re looking at hiring one of their drivers. There were a lot of different dynamics have gone into how we ended up here today. Not sure if that answers your question. But the bottom line is, yeah, it’s been a long process. It’s been a good process. I think we ended up in a great place. Q. Tim or Art, there had been some reports circulating that Jenson Button might have been in contention for one of the endurance seats. Was this something that was ever discussed, was that in the frame in any way? ART ST. CYR: As Tim said, we were looking at a lot of different dynamics when we were putting this together. One of the things that we talked about is we wanted to pair experienced drivers, experienced in other series, with people that are experienced in the IMSA Series. Of course, someone with Jenson Button’s talent and also his pedigree with Honda is definitely someone that we had considered. But there were other circumstances that precluded him from being part of this program. It was something that was considered. As Tim said, there’s a lot of different dynamics that we were considering with the drivers that we have right now. There’s a lot of discussions back and forth. We are extremely happy, and we think we got the right six to really compete for a championship right now. Q. Art, could you talk about maybe what Acura and you guys saw in Ricky that made him somebody that you wanted to be a part of the program here. ART ST. CYR: Well, as Tim said, there’s a pretty big checklist of things that we’re looking for when we’re talking about our drivers. But first and foremost was we want to get the fastest drivers we possibly could. Looking at the way Ricky started out this year with the first five wins, it was very clear that he was a very fast driver. But part of the other things that we had was really someone who could represent the Acura brand well. Ricky is an American, which helps, because Acura is a North American brand. Those types of things. He’s well‑spoken. We think this is his time to really shine. We thought that he would be good in the mixture as far as chemistry. When it comes down to it, ultimately we’ve got to win races. He fit pretty much every box that we needed. Q. Tim, on paper you guys have a stellar, strong lineup. I’m wondering if the intent was to do that, to build something that right out of the gate should be very, very competitive. And if this is something that your son got a look at as a potential driver for. TIM CINDRIC: I mean, obviously our intention is to put together the best lineup we can. The experience that these guys have is kind of unquestioned. When you look at it, again, it’s a matter of having a group that works together. We see that in all the forms of racing that we have, all the different teams that we have. We may have single‑seater cars, ones that only have one driver, but at the same time we know how important teammates are to each other. We like them to be competitive, but yet at the same time when it’s time to work together, they need to understand that’s what they’re here to do. We think this group is right there for that. As far as Austin (Cindric), I think he’s got a lot of time in front of him to continue to climb up the ladder. If he ends up in one of our cars for whatever reason, it will be because he deserves it. That’s kind of the way he’s working for that. He’s running GTD now. He’s had a chance to look at this type of racing. This probably wouldn’t have been a good step for him initially with the high profile nature, not because he wouldn’t want to, but he understands there will be the right time for him if he deserves it. Q. Tim, there’s 85 days between now and the start of the season. What do those days look like for your team? TIM CINDRIC: We take one at a time around here. We’re going to hit the ground running next week. We’ll have all four of the full‑time drivers in the car next week. It’s good for them to get acclimated with each other. Helio and Ricky, they know each other I guess socially, you’d call it, but they’ve never worked together. It will be interesting there. Dane and Juan, they got a chance to race against each other the other night. I was glad to see they started things off the right way, kept things clean, because I was a little concerned about how that might turn out for day one as teammates. They passed the first test. Then it’s our goal to be on track one or two times a month up until we get to the Roar (before the 24) in January. We received our second Acura car actually at the end of last week, so we have two cars in‑house now. We’re starting to build those up. Hopefully there will be a point in time where we can actually take two cars to a test, but it will be a little bit before that occurs. Really, it’s a matter of trying to get to as many permanent circuits as we can and get these guys as much track time as we can while Acura continues to work with IMSA in terms of homologating the car and engine. Coming into the Bathurst 12 Hours the defending Liqui-Moly team hoped that their McLaren 650S GT3 would manage a repeat victory. 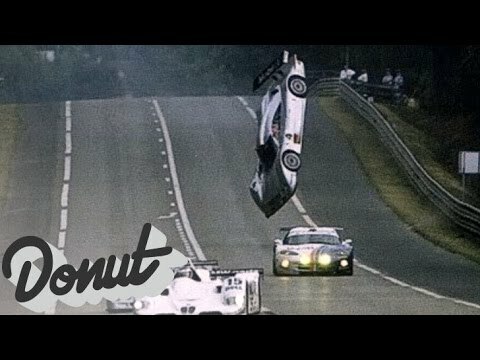 But as we all know endurance racing can be a cruel mistress. The race started out with great difficulty for the #1 650S GT3 as the team quickly fell back in the second hour with engine issues. The problem cost three laps making a top finish unlikely.